Drawing to the Thanksgiving game is open! Win 2 tickets to Steelers @ Colts! Follow this link to enter the drawing for two tickets to the Steelers at Colts! http://forums.colts.com/topic/48342-enter-to-win-2-tickets-to-thanksgiving-game-nov-24-830-pm-est-steelers-colts/ You must be logged in to enter the contests. Joining the forum is free. Follow this link to enter the drawing for two tickets to the Titans at Colts! http://forums.colts.com/topic/48059-enter-to-win-2-tickets-to-titans-at-colts-nov-20-100pm-est/ You must be logged in to enter the contests. Joining the forum is free. Follow this link to enter the drawing for two tickets to the Chiefs at Colts! http://forums.colts.com/topic/47613-enter-to-win-2-tickets-to-chiefs-colts-oct-30-100pm-edt/ You must be logged in to enter the contests. Joining the forum is free. Follow this link to enter the drawing for two tickets to the Bears at Colts! ENTER HERE You must be logged in to enter the contests. Joining the forum is free. The drawing for 2 Tickets to Chargers @ Colts is now open! Enter HERE You must be logged in to enter the contests. Joining the forum is free. The drawing for 2 Tickets to Ravens @ Colts is now open! Enter HERE You must be logged in to enter the contests. Joining the forum is free. Enter to Win 2 Tickets to Ravens @ Colts on 8/20! Enter for your chance to win a Peyton Manning autographed football: CLICK HERE Note: You must be a member of the Forum Credit Union Fan Forum and be logged in to enter. Login/Register here. Enter to Win 2 Tickets to Texans @ Colts ! The drawing for 2 Tickets to Broncos at Colts is now open! Follow this link to enter You must be logged in to enter the contests. Joining the forum is free. Saints tix winner Todays Swag Winners! Win Saints tix and Poster! Saints tickets drawing is still open, Enter to win 2 tickets to Saints @ Colts click here to enter. Poster giveaway soon, Enter to win one here. (If you have already entered this drawing, your entry lasts for the whole season. If not, nows a good time ) Winner! Congrats to the winner of the Pats @ Colts tickets: kbeard. We have several new posters to give away Enter to win one here. (If you have already entered this drawing, your entry lasts for the whole season. If not, nows a good time ) These two ticket drawings are also open: Open: Enter to win 2 tickets to Saints @ Colts click here to enter. The drawing for 2 tickets to Patriots @ Colts is still open. Click here to enter. Two drawings open! Win tickets to These Colts Home Games! We've got 2 drawings open right now! Now Open: Enter to win 2 tickets to Saints @ Colts click here to enter. The drawing for 2 tickets to Patriots @ Colts is still open. Click here to enter. You must be logged in to enter the contests. Joining the forum is free. Congrats to the Jaguars Tickets winner! 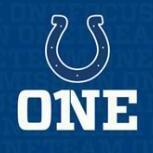 : Brandy Sue Monday The drawing for 2 tickets to Patriots @ Colts is now open. Click here to enter. You must be logged in to enter the contests. Joining the forum is free. Congrats to the Jets Tickets winner! : Brad Eads The drawing for 2 tickets to Jaguars @ Colts is now open. Click here to enter. You must be logged in to enter the contests. Joining the forum is free. Enter To Win 2 Tix To Jets @ Colts! Congrats to the Bengals Tickets winner! : Stone The drawing for 2 tickets to Jets @ Colts is now open. Click here to enter. You must be logged in to enter the contests. Joining the forum is free. Bengals Drawing Is Now Open! Congrats to the Bears ticket winner: stjackson5523 The drawing for 2 tickets to Bengals @ Colts is now open. Click here to enter. You must be logged in to enter the contests. Joining the forum is free. Enter to Win a 2015 Schedule Poster! Now open! Register to win a 2015 Colts Schedule Poster! You must be logged in to see the registration page. Registration is Free! Winners will be drawn via a random drawing on Monday. Enter the drawing here Good LUCK!